So as you all know, Rita Ora released a new song called Body on me which features Chris Brown (a song that I am absolutely crazy about and don’t even get me started on the music video). This song received positive reviews all around and Rita was applauded for blessing our ears with this amazing song. It’s only been a minute and already the song has a remix! Yes, you heard right, it has a remix. Now usually we don’t really expect much from a remix. Maybe just an extra verse here and a little bit of rapping there, but nothing really major. Especially if the song is already an extremely good song as it is! Well, there is now a remix to Rita Ora’s Body on Me and the one and only Fetty Wap is the guy that features on it. 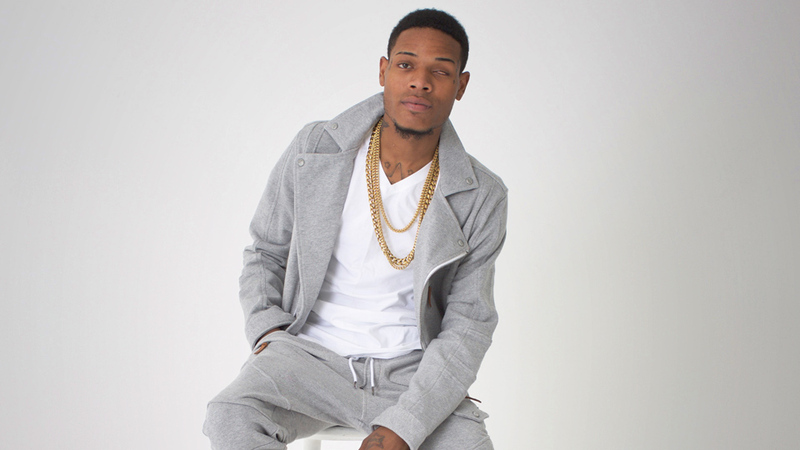 Fetty Wap took this amazing song and turned it into another ‘Fetty Wap track’. Now I’m not saying that this is a bad thing, all I’m saying is that it could have been better. Songs that are already great tracks, does not need to be remixed. Maybe if it’s a huge must, then add a rap verse or two but to go on and change the entire beat and tempo of the song is completely ludicrous! In the song Fetty Wap turns the song into another “Yeeah Baby” track. If you don’t know what I mean by a “yeaaah baby track”, then allow me to explain. Every artist has a way of letting their fans know that a particular song is theirs and that there’s something unique that they say in all their songs, whether it’s in the beginning of the track, the middle or even the end. This is what makes their song theirs and also serves as a way of personalizing their song. Examples of the unique sayings or even words that you can find in certain songs are: Lil Wayne “Young Moola Baby”, Akon “Convict “, Sean Kingston “Kingston!” and of course Trey Songz “Trigga”. You get it now right? Well this is what I mean by that. The only way we know a song is by a certain artist without knowing the name and artist beforehand, is listening out for their unique word, phrase or saying. Fetty Wap begins the song with “Yeeeah Baby” and the beat is completely changed. Body on me is originally a slow jam, the type of song that will get you in the mood. However in the remix, I swear you can play it while you’re with your homies and it won’t sound lovey-dovey at all. Maybe it’s safe to say it has been slowed down a bit more and has a more ‘lean with it, rock it with it’ type of feel. I guess if you love bass then turn up the volume because this remix has plenty! The level of sexiness that previously was there, is just taken away. And for all you die-hard Chris Brown fans, Fetty took Chris’ verse out and replaced it with his own completely different verse. But don’t worry #TeamBreezy, Chris’ vocals wasn’t completely taken off the track, his original verse then comes in after the chorus is played a third time. The third verse that is sung by Rita Ora and Chris together on the original is nowhere to be found on this remix. I feel like that part makes the song even more interesting. I am usually all for remixes, but this left me disappointed and wondering “and now?” (Insert crying face emoji). Fetty, thank you, but I like the original version. And please Rita, don’t let anybody else try to remix this song. It’s perfect as is.